Learn all about cassava, its importance to the world, derivatives, and dishes made from it. Cassava? Yuca? What is that? It’s the third-largest source of carbohydrates in the tropics. About half a billion people all around the globe consumes this vegetable root which grows in marginal soils. Most importantly, yuca or cassava is one of the pillars of Brazilian cuisine, and is important in many other cultures as well, including Central and South American, African, and Asian. What about in American culture? Actually, it has likely been more of a presence at your table than you may imagine, and with globalization, it will become even more so. What do you think your beloved tapioca pudding is made from? When you visit the beverage kiosk at the mall and order a bubble tea, what do you think that you’re consuming? Not so far from the potato shelf at the Walmart supermarket (among other chains), what do you think that long, thick, brown-skinned vegetable root is? So, did you know what the main ingredient of those famous Brazilian cheese rolls (pão de queijo) served at your favorite churrascaria is? Similarly, it is present in many other Cuban, Puerto Rican, Filipino, or Indonesian dishes that you may dearly love. As I mentioned, you have likely been eating cassava or dishes made with its derivatives without even realizing it. If not yet, due to the influx of immigrants to this country and the influence of their cuisines, you probably will, sooner or later. Believe me! Moreover, with the increasing number of people in the US with celiac disease, the consumption of cassava is ideal because they are naturally gluten-free foods. Cassava or yuca (not yucca), mandioca, aipim, macaxeira, or manioc root, is a starchy, tuberous root native to South America. It’s rich in carbohydrates, calcium, and vitamin C, but deficient in protein and other nutrients. The vegetable root is long and thick, and has an outer shiny brown skin with a white, firm interior. 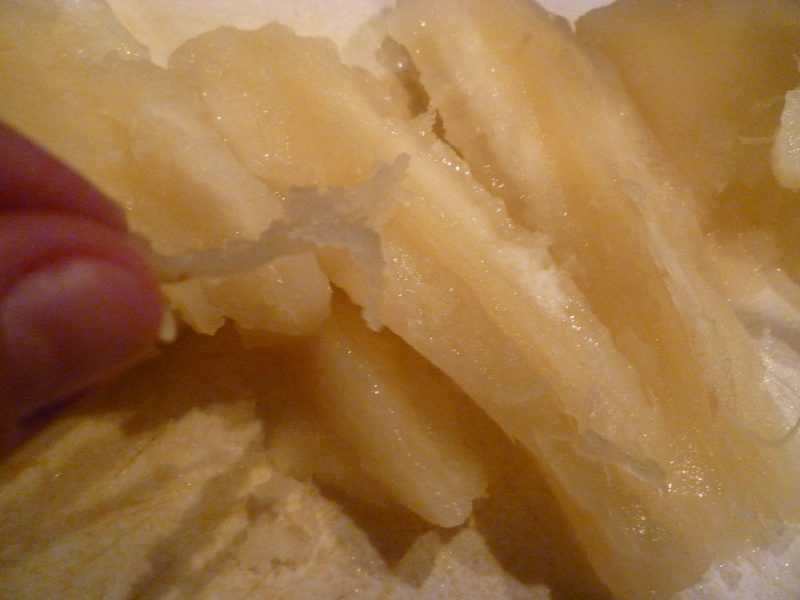 Its center has a woody fiber (see pic below) that has to be removed after boiling or before frying the cassava. In addition, its roots (and leaves) are not meant to be consumed raw. …which is poisonous and has been linked both to ataxia (a neurological disorder affecting the ability to walk), and chronic pancreatitis. 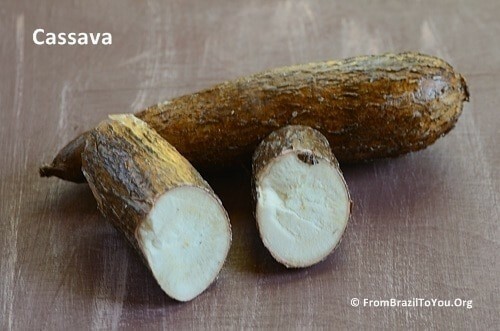 Cassava is available fresh, frozen, or grated. 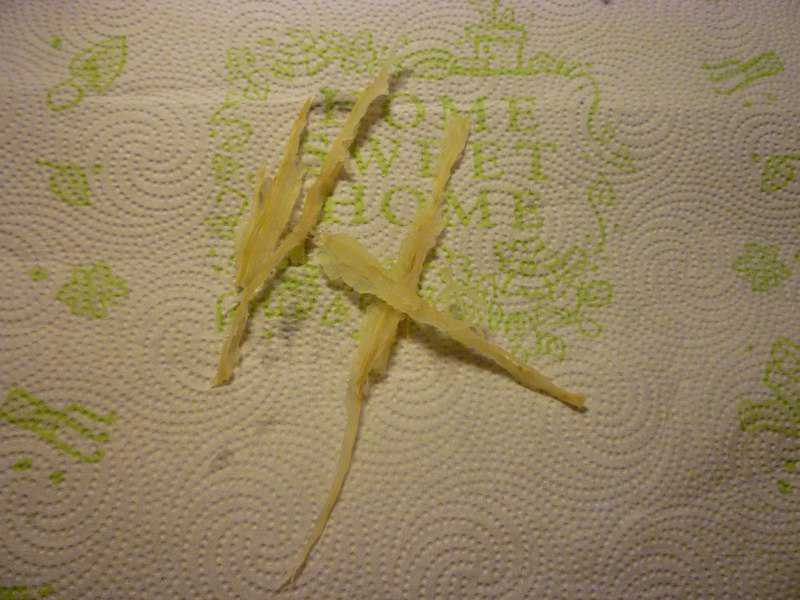 To cook it, peel the the root first (soaking briefly in water makes the peeling process much easier). So once peeled, either boil or fry it for direct consumption. Cassava is important in many cultures, including Brazilian culture. In Brazilian cuisine, its main derivatives are tapioca pearls, tapioca, manioc flour, sour starch, and tapioca starch. These products are available online (Amazon.com), in Latin supermarkets, and some types are also available at American and Asian supermarkets. These are produced by passing the moist tapioca starch through a sieve under pressure, producing a spherical shape. The resulting pearls range in size from about 1 mm to 8 mm in diameter, with 2–3 mm being the most common. Tapioca pearls makes sagú or tapioca pudding in Brazil and other countries, and also sweet drinks such as bubble tea in Asia. It is available at American supermarkets. This comes from the starch extracted from cassava but, in contrast to the tapioca pearls, is irregular, and its mixed “grains” vary in size. It makes tapioca couscous, which is basically prepared by soaking in hot milk and/or coconut milk, and then allowed to rest until soft and pliable. And, it is available at Amazon.com. Manioc flour or farinha de mandioca makes farofa, pirão, and vatapá. The detoxified cassava is ground to a pulp called massa and then squeezed with a device (tipiti) to extract the moisture. The liquid produced by this may be collected and dried to produce tapioca, locally known as polvilho. Lastly, the dried massa is then toasted over a large copper stove to produce the manioc flour. This process varies regionally and by manioc species, and may include additional steps of re-soaking, drying and re-toasting the flour. Manioc flour is available at Brazilian Shop.com. 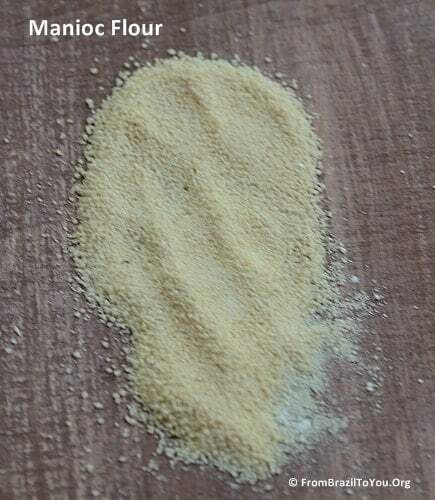 This is a fermented starch extracted from cassava that is coarser than tapioca starch, as you can see from the photo below. It makes pão de queijo and also tapioca crepes. Polviho azedo is available at Amazon.com. This is extracted from cassava, which is grated and washed, and then has the juice from its pulp squeezed out into a bucket. The starch is then extracted from the liquid that accumulates in the bucket, and subsequently dried and sifted. 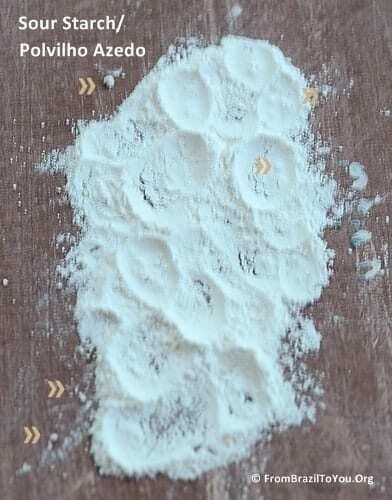 Unlike the sour starch, it is not fermented and has a fine texture similar to cornstarch. Polviho doce makes pão de queijo, crackers, and desserts. For instance, this list of cassava derivatives is just an illustration. Although these are the major products commercialized in Brazil, there are others in other countries (e.g. soluble tapioca starch powder, flakes and sticks, etc. in Asia). I hope that you enjoyed our article about cassava, and that it helped you to become more familiar with it, and its importance throughout the world. A very useful post! I’ve always loved Tapioca, and Farofa, and bubble tea… but up until now I had now idea they were all related and in which way… Thank you very much, very enlightening! Thank you, Tesei, for stopping by and leave a comment. This makes me super happy. I am glad that you have learned new things about this ancient root vegetable and its derivatives. Wishing you a great day! Great post! Eu adoro mandioca frita, como voce bem deve imaginar… tem algum brasileiro que nao seja louco por mandioca? Hi, Sally! Adorei a sua visita e obrigada pelo link. Já aprovei a publicação do mesmo aqui sim. Eu sei…Todas as vezes que falo de macaxeira (como dizemos no nordeste), me dá água na boca também. Nunca comi nada com macaxeira que não tenha amado. É uma das minhas raízes favoritas mesmo. Um abraço! Denise, this was a great article. I have always wanted to know if cassava and yuca are the same. So you can just slice these and fry them and make yuca chips? Very informative. Thanks! Great informational post! I love cassava in all forms and we use a lot of it in Indian cooking too, from the puddings to fritters made with tapioca pearls. Is that right, Nazneen? I am so glad to hear that many cultures make great use and enjoy cassava and its byproducts in different, creative dishes. I enjoy drinking bubble tea at least once a week and I have made some Asian desserts using tapioca pearls. I didn’t know how cassava looks like and there are so many kinds! 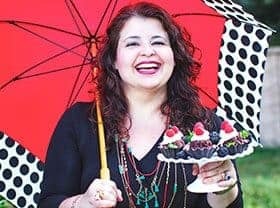 Very education post for foodies! Thanks, Nami! Cassava and its byproducts are more present at our tables than we think or even know. Very informative post, my friend. Thank you. I love bubble tea but never used in my cooking. 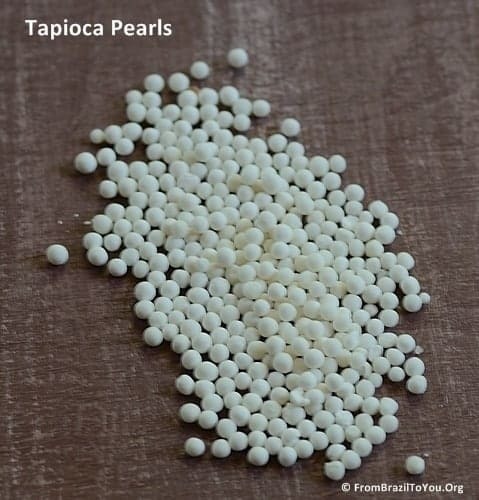 I have an unopened package of tapioca pearl and I keep thinking I need to make something with the pearls. Lail: Thanks! If you accept a suggestion, try my red wine tapioca pudding. I love this pudding!!! The better the wine, greater is the taste. The link is at the end of the post. I am happy that you are back and had a great time in Italy. Wildly informative post! Thank you for sharing a wealth of information about cassava! In Peru we call it yuca, and it’s very popular. I don’t like it when it is just boiled, I prefer when in addition, you fried it….!!! Exactly, Raymund! This vegetable root is quite important in many cuisines including Brazilian and Filipino. Hmm very interesting, never heard of it although I am from Africa… may be I should look ti up in Arabic. Great post. Thanks,Amira! Nigeria is the country with the largest production of cassava in the world. Very interesting . Can i know how to make sour starch in Brazil more detail ? 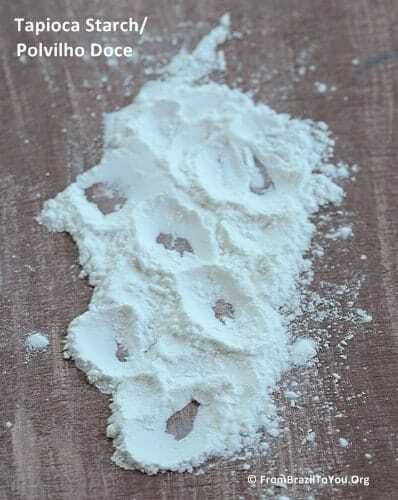 Just as the Tapioca Starch (Polvilho Doce), the Sour Starch (Polvilho Azedo) is extracted from cassava/yuca, which is first grated and washed, and then has the juice from its pulp squeezed out into a bucket. The starch is then extracted from the liquid that accumulates in the bucket, and subsequently dried and sifted. The differences between those 2 starches is that the sour starch is left to be fermented for about 2 weeks at room temperature and has a coarse texture while the tapioca starch is not fermented and has a fine texture– similar to cornstarch. I hope I have answered your question. Have a great week!!! I am glad that you have curiosity about cassava and its derivatives. 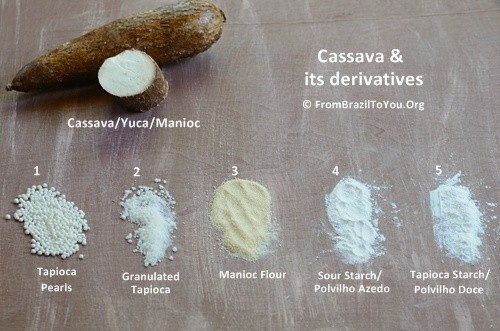 Cassava and its by-products are pillars of Brazilian cuisine and absolutely favorites of mine. Thank you sooooo much, Sarah! That’s exactly what I needed! Cassava leaves must be cooked before eating. They are usually boiled for at least 10 minutes and the boiling water is discarded once leaves are cooked. The reason why is cassava leaves and roots are high in hydrocyanic acid which is poisonous. Hi, Beejay! 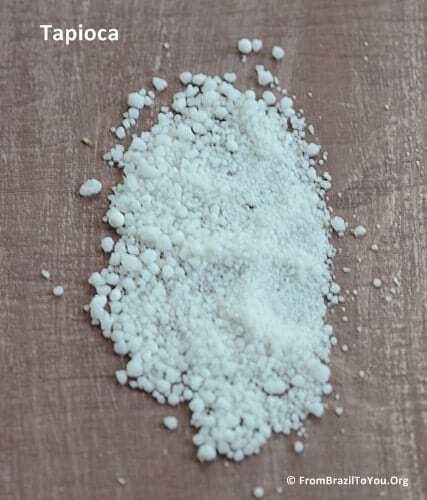 No, tapioca flour is not the same as sour tapioca starch. If you read my article you gonna see basically that sour tapioca starch is fermented and also presents a course texture while tapioca flour has a fine texture like a powder. In order to use the sour tapioca starch, you have to pass the flour through a fine colander so it will become like a powder or almost as fine as the regular tapioca flour. It won’t make a big difference in the texture of the final dish but the taste that the sour tapioca starch gives the dish is slightly sour.